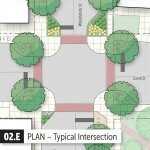 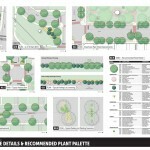 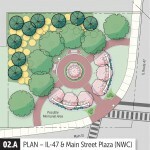 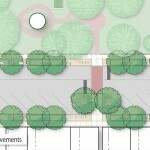 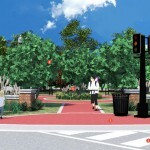 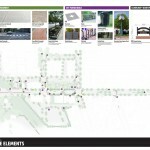 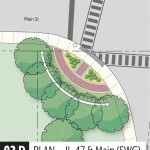 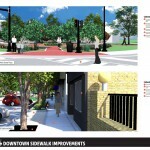 The Downtown Huntley Streetscape Plan was developed as an extension of the Village’s 2010 Downtown Revitalization Plan, intended to provide directly applicable implementation of the 2010 plan’s recommendations. 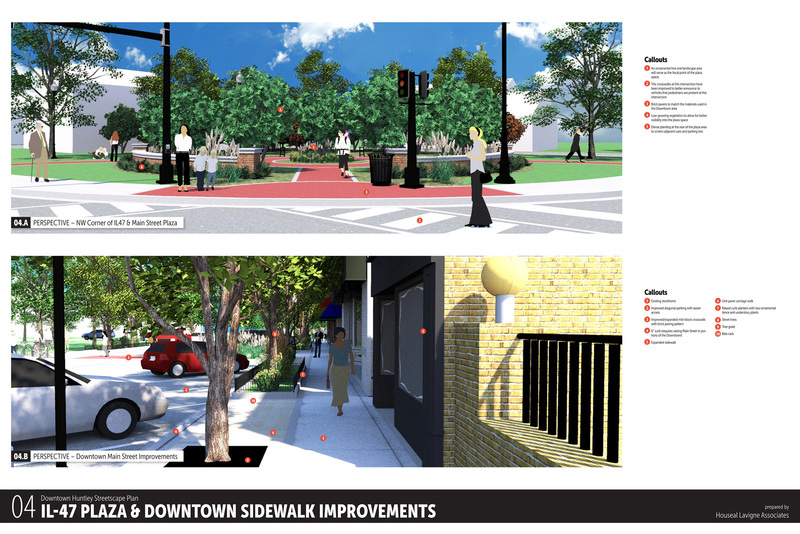 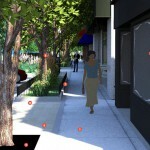 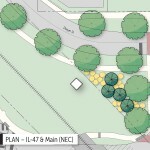 Consisting largely of renderings and visualizations, the plan provided Village staff and the local community a tangible concept of how the Downtown could look given various changes and improvements. 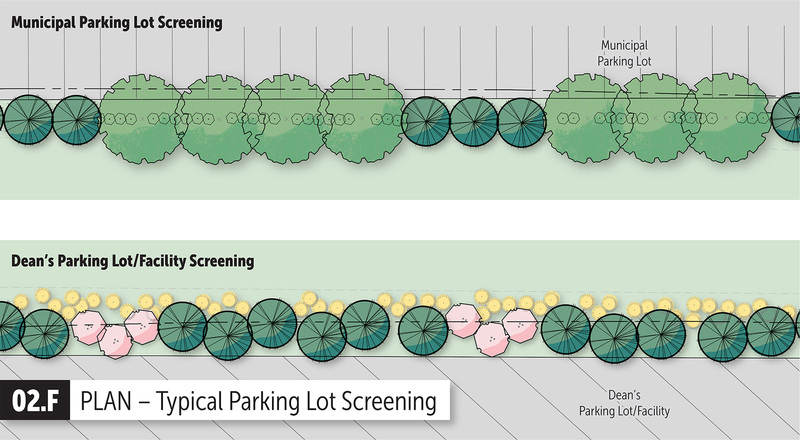 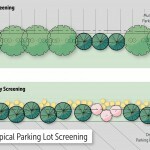 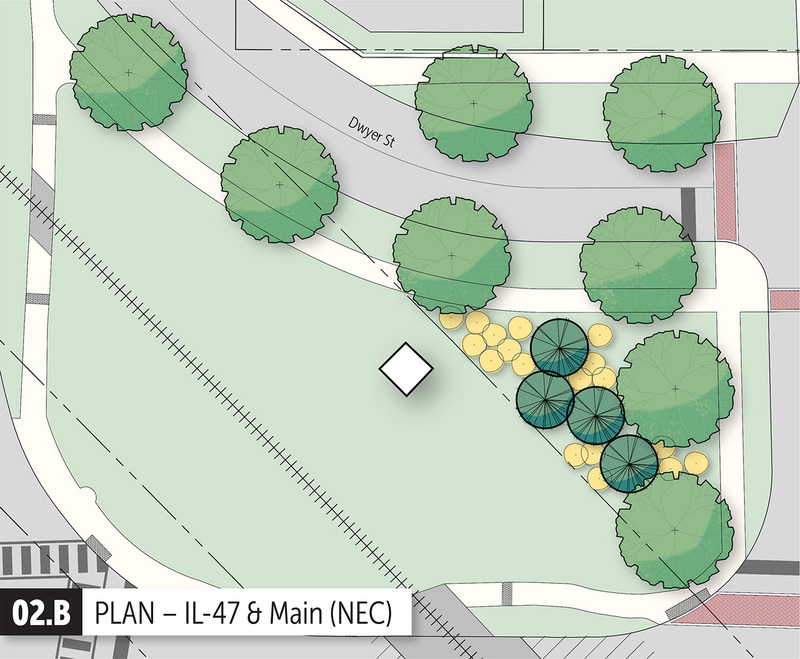 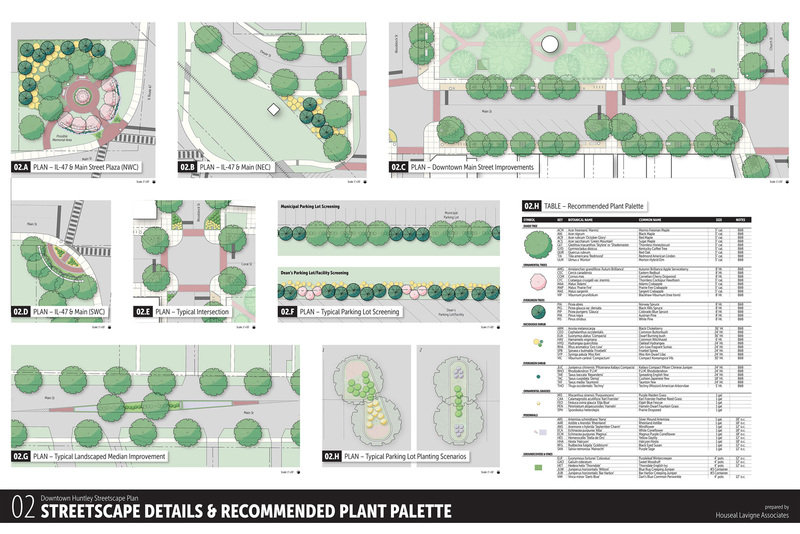 Recommendations focused on the introduction of new plazas, open spaces, and gateway elements along with reconfigured parking, sidewalk expansion, and increased landscaped features to create a consistent character for the Downtown. 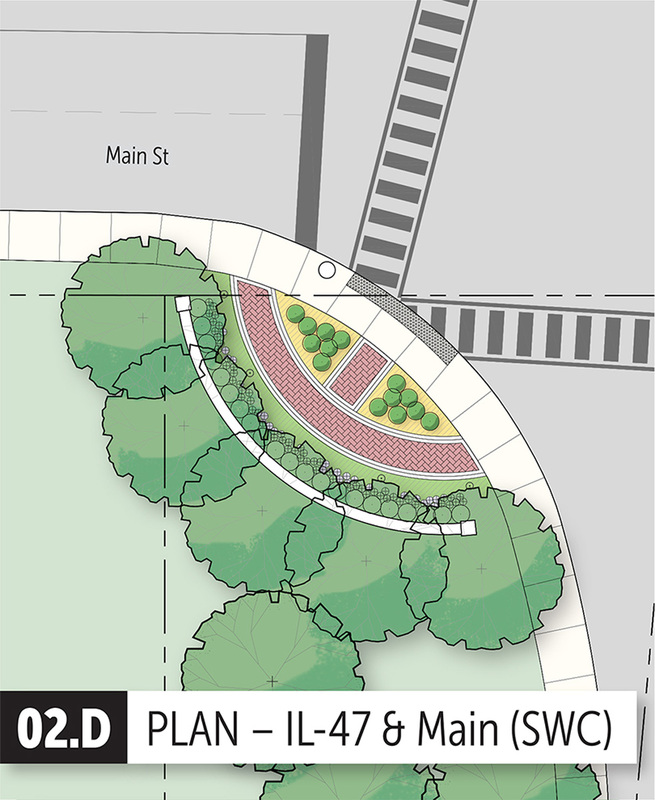 Envisioned as a plan that could be readily applied to physical improvements of the Downtown, the Village of Huntley has actively implemented a majority of the plans original recommendations. 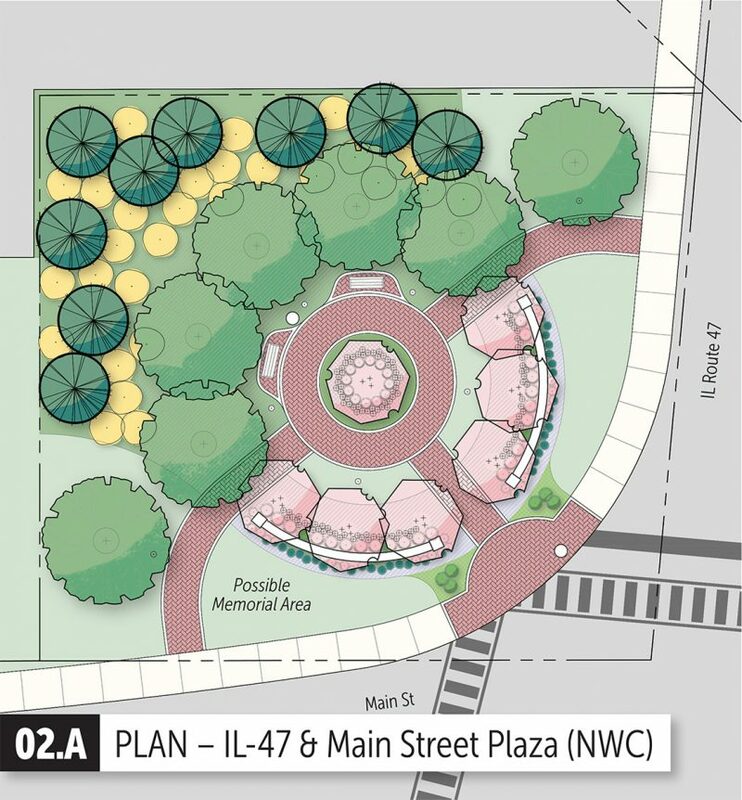 With the city taking an aggressive and energetic role in implementation, many of the plan’s central renderings have been transferred into actual construction plans for use in redevelopment of the downtown. 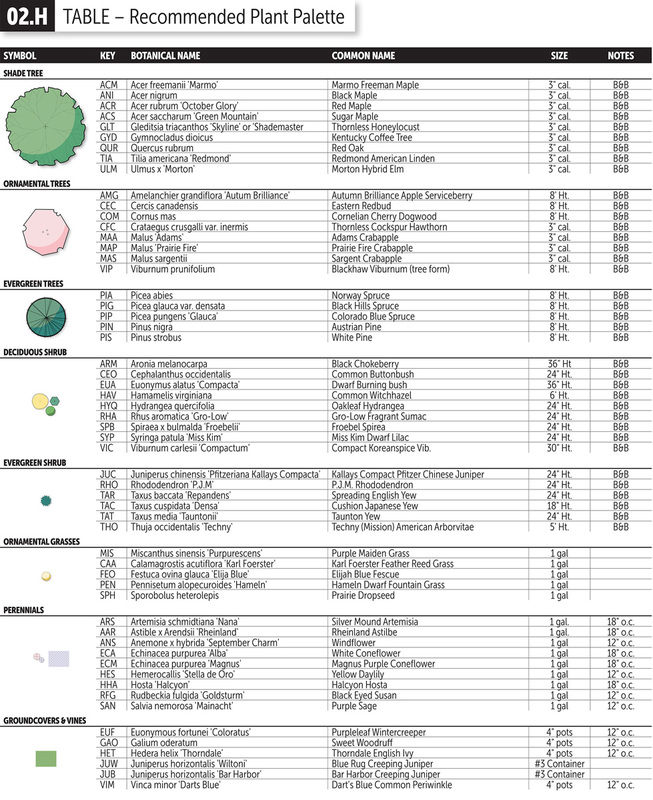 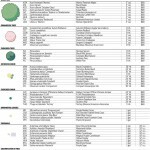 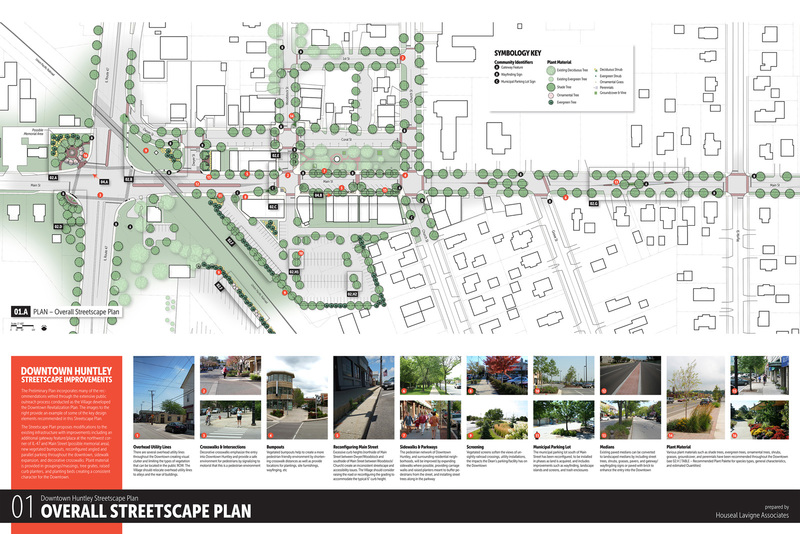 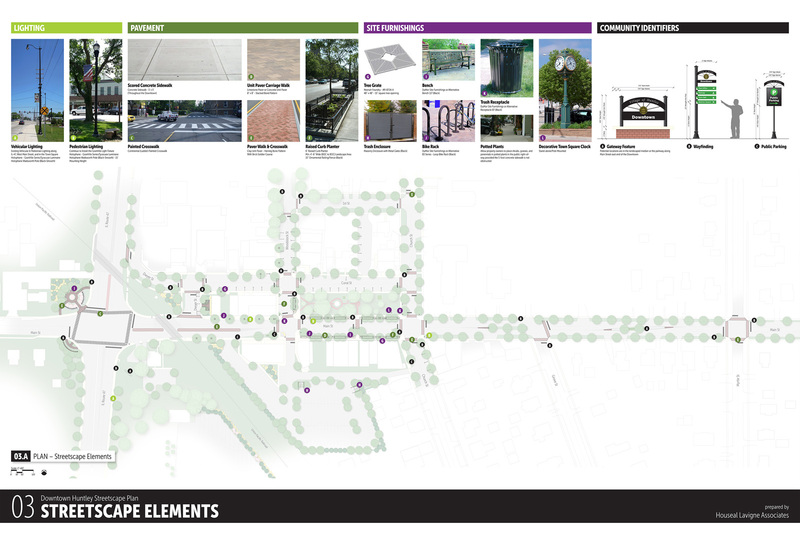 As a fully implemented document, The Downtown Huntley Streetscape Plan stands as a distinctive success, with wide spread utilization of plan recommendations rare among planning efforts.